Sew Mama Sew is once again hosting the annual giveaway day, and I am so excited to offer a small giveaway of my own this time around! 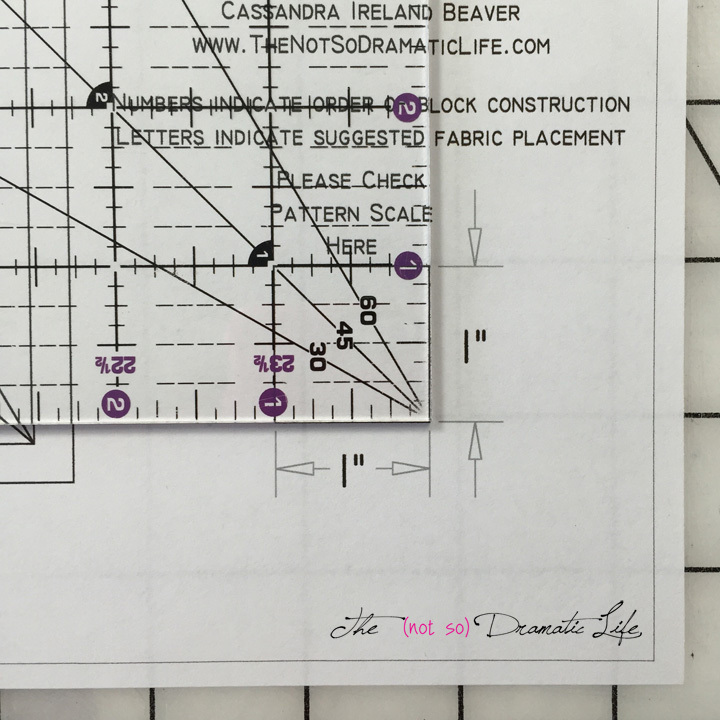 To make it even better, TWO winners will each receive two magazines and a digital pattern! 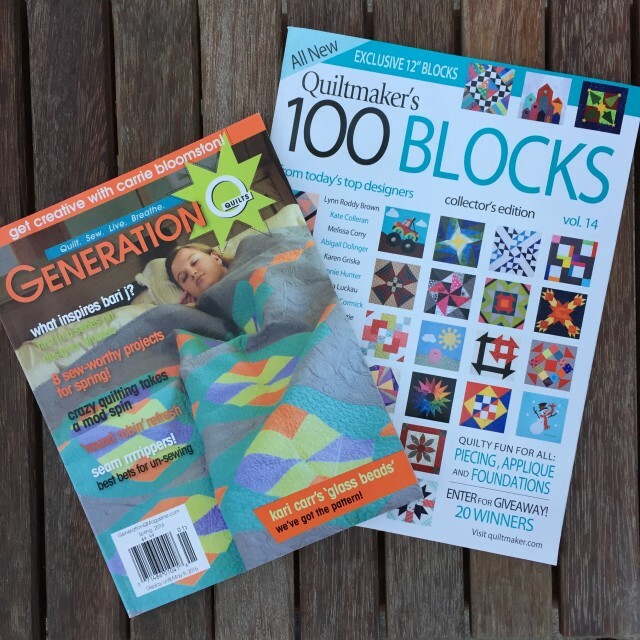 I have been fortunate to have my work included in several magazines this year including these issues of 100 Blocks and Generation Q. 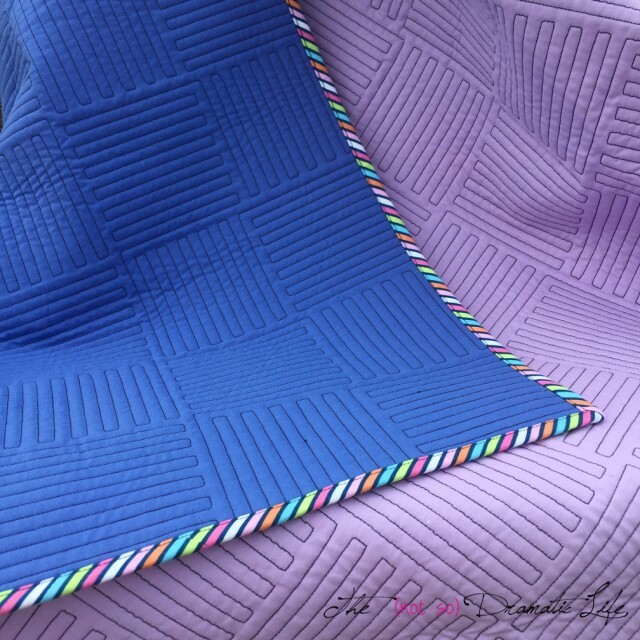 These are both packed with inspiration for all sorts of quilt-y projects! 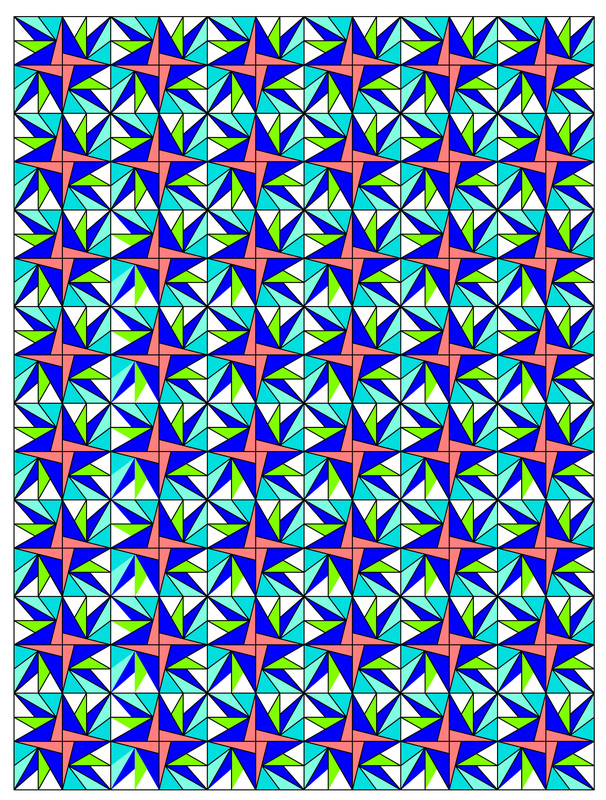 For added fun, I will also send the winner a PDF of my pattern for my Rainbow Rotary Mini Quilt in three sizes. 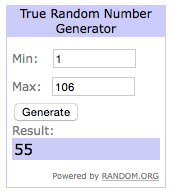 The winners will be determined by a random drawing. The winners will be announced by Wednesday, December 14, and prizes will be shipped by Friday December 16. The winners will be notified by email and listed on the blog. It is each winner’s responsibility to respond with their mailing address by 11:59pm on Thursday, December 15. If I do not receive this information by this time, another winner will be drawn. Make sure you check out all of the other fabulous giveaways linked up at Sew Mama Sew! Update: Thank you so much for entering! I normally do my best to respond to comments, but due to the volume of giveaway posts I won’t be able to respond individually. Your answers will help me determine what to blog about in the coming year! Thank you! 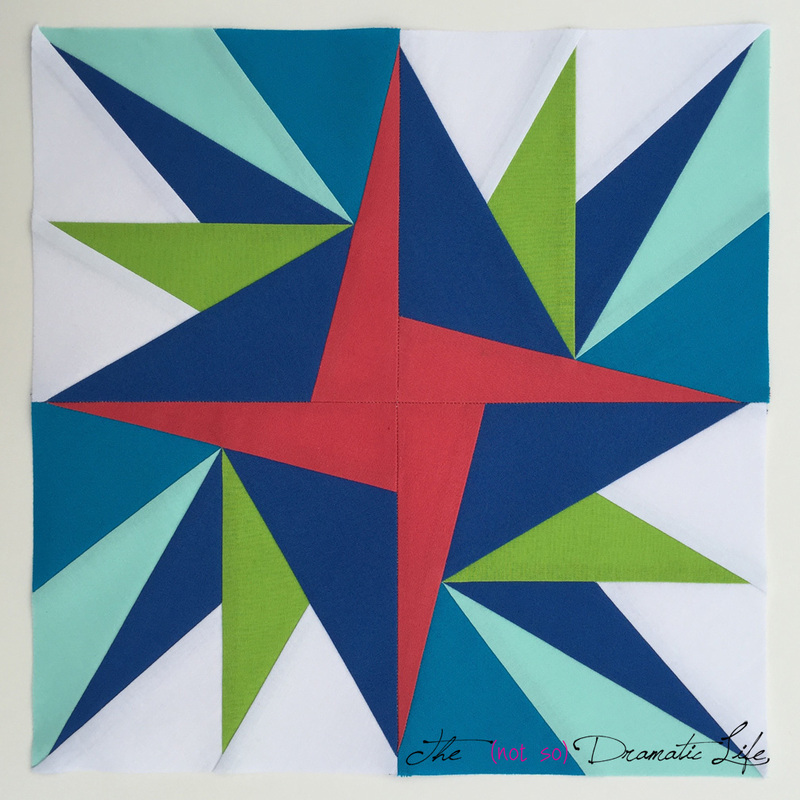 Today, I am so excited to announce the winners of the two Sew Mama Sew Giveaway Day prizes I offered this time around! The first giveaway was for a PDF pattern of Rainbow Rotary that is for sale on Craftsy. The second giveaway was for an edge to edge longarm quilting service. 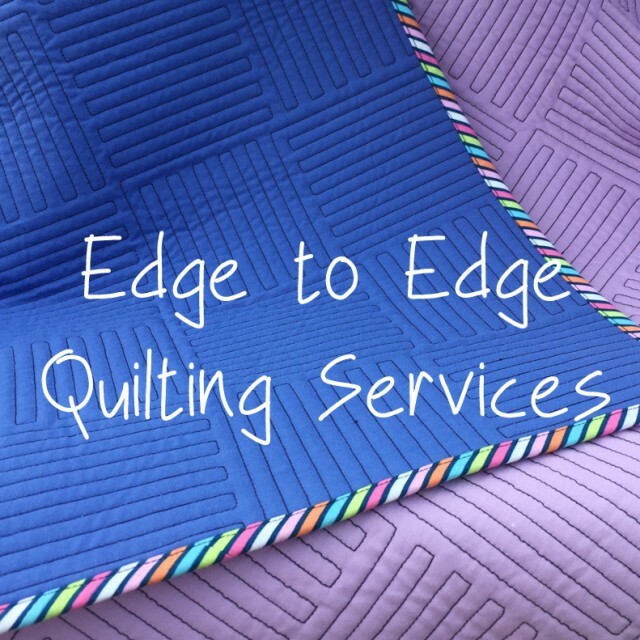 I do have a few openings for edge to edge quilting before Christmas, so please email me if you would like help finishing up those last minute gifts! Comments were numbered in the order they were submitted, and then the random number generator did the work. 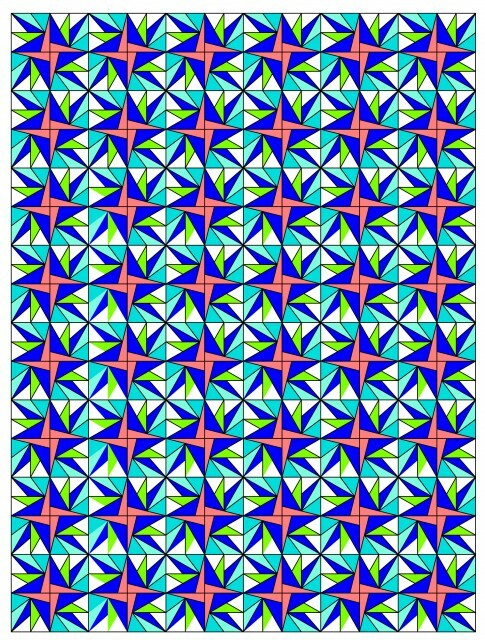 The winner of the PDF Pattern of Rainbow Rotary is Margaret! 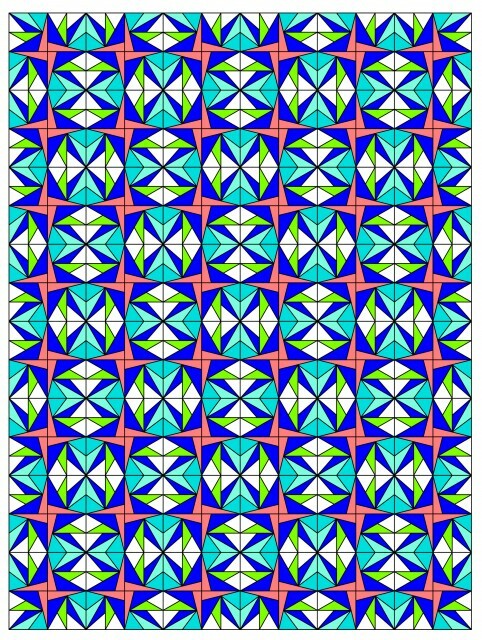 I hope that this pattern inspires you to give a mini a try, or I would love to see how you incorporate it into a larger quilt. Free edge to edge longarm quilting is headed to Lauren and her mom! I am looking forward to working on either one of your quilts! Congratulations ladies! I have sent you each an email as well. Thank you all so much for all of your suggestions for tutorials you would like to see in the coming year! A lot of people are interested in seeing more on various types of machine quilting, so I will plan to incorporate some more posts on that topic in 2016! 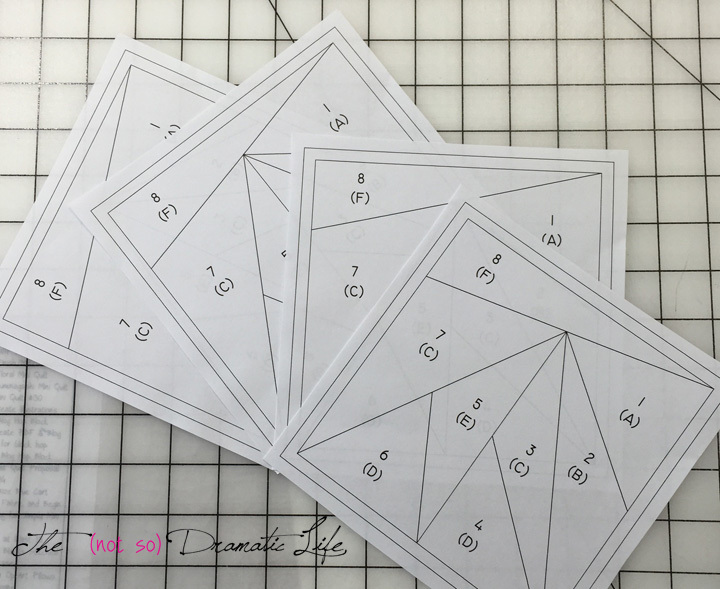 Win a PDF Pattern of Rainbow Rotary for Sew Mama Sew Giveaway Day! Update: This Giveaway is now closed. Congratulations Margaret! Rainbow Rotary is one of the most popular mini quilt that I have shared this year, and now the pattern is available on Craftsy! 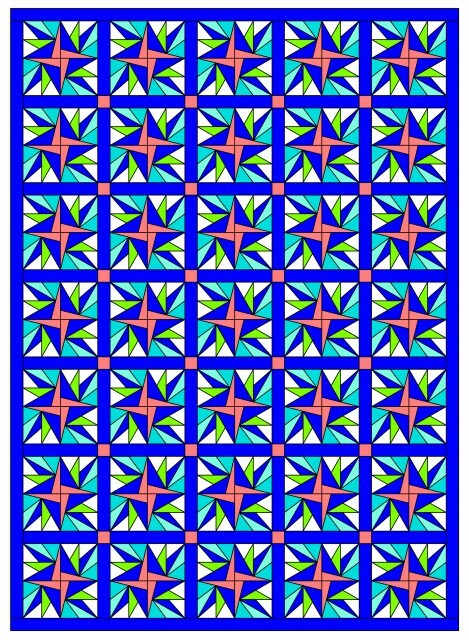 For Sew Mama Sew Giveaway Day, I am happy to offer a PDF pattern of this quilt in three different sizes! 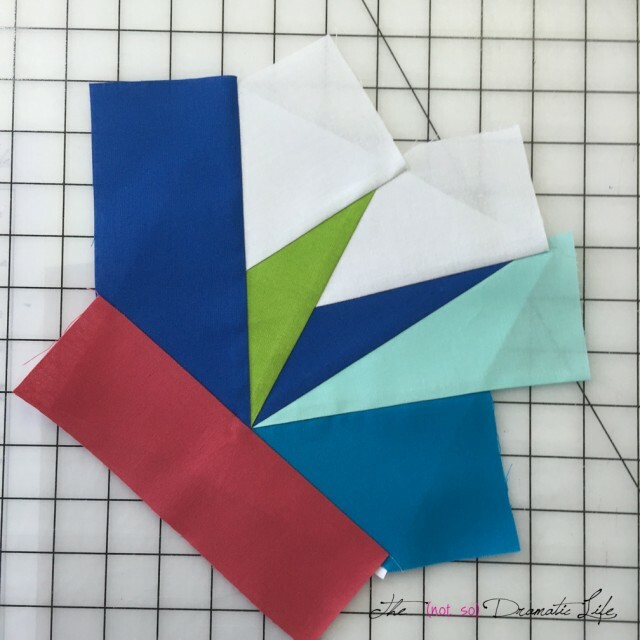 Inspired by my love of the Courthouse Steps quilt block, this quilt reinterprets the traditional block into a wedge shape to create a ring of color. 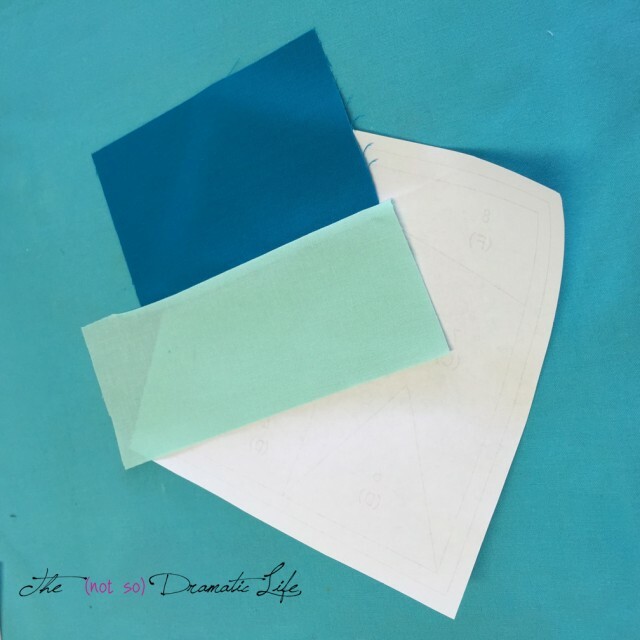 This is the perfect project to show off all of the vibrantly colored fabrics in your scrap box, and a great opportunity to share fabric with friends. To enter please leave a comment on this post. I have spent much of the year making mini quilts, and I would love to hear your thoughts on this particular type of quilt. Love Minis? Hate them? Have you made a mini? 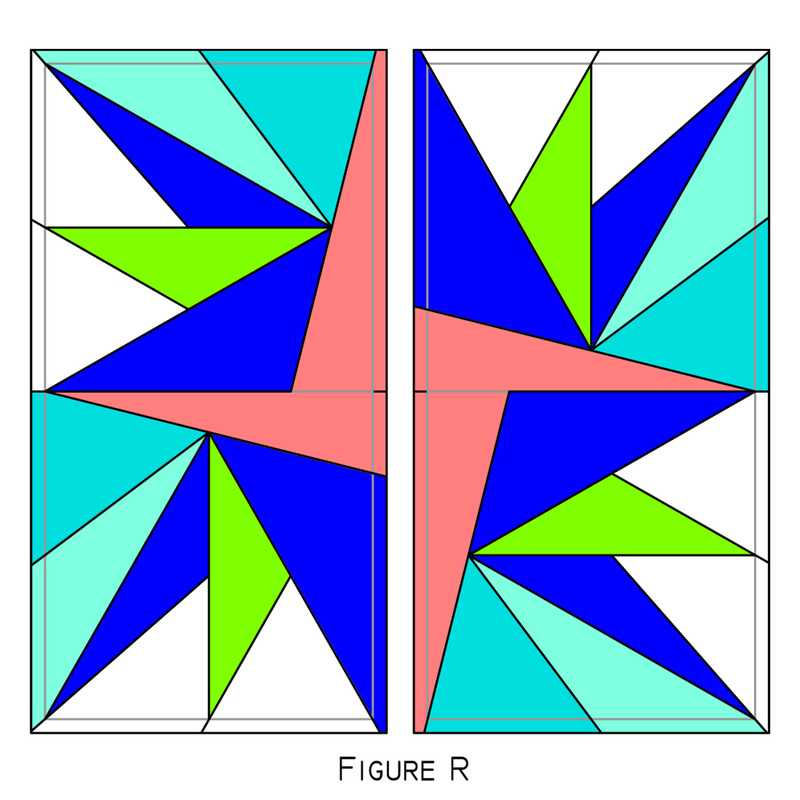 Is there a pattern you would like to try? Have you participated in a mini swap? 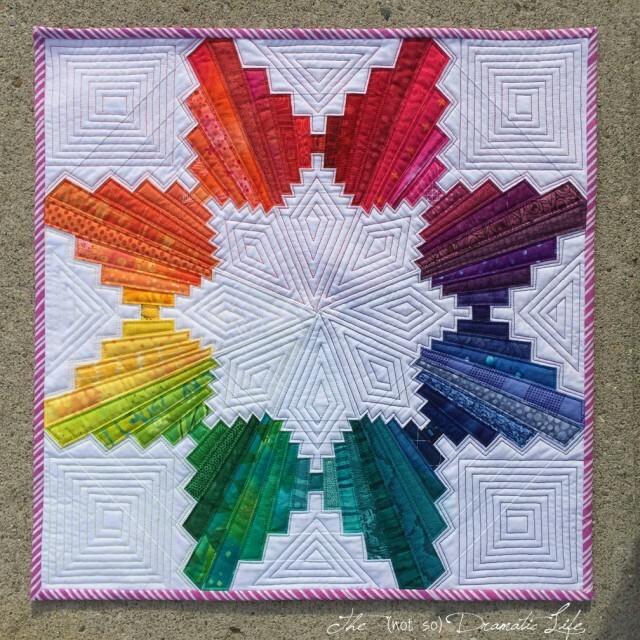 Have you ever made a rainbow quilt of any type? 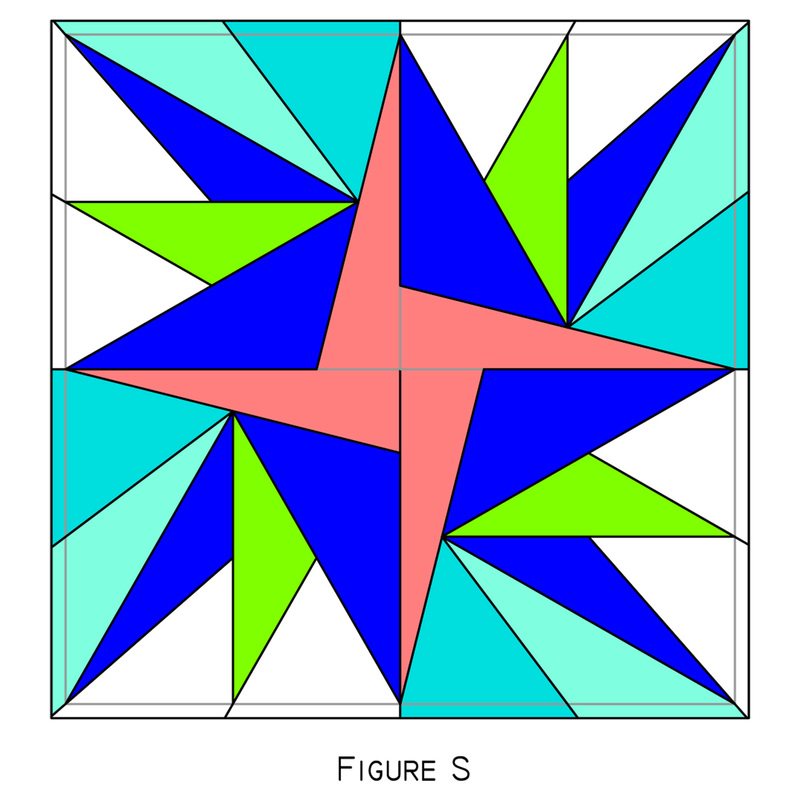 Summer Starburst Quilt Block is created using foundation paper piecing. This technique gives you lovely, precise points, resulting in a block with a clean, professional appearance. If you have never tried this process before, it may sound complex, but I encourage you to give it a try. Once you have done it a few times, you will develop a rhythm and may even come to love this technique as much as I do! 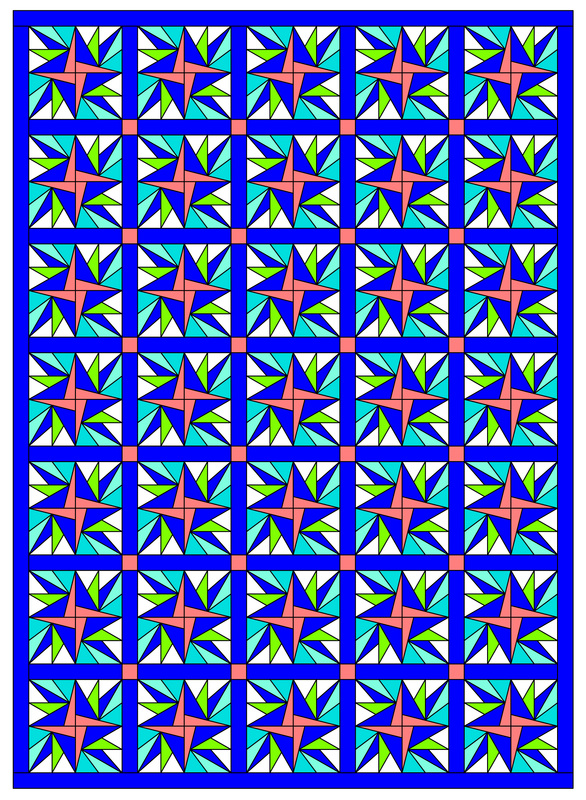 I designed this block in conjunction with the Fabri-Quilt New Block Blog Hop which is a continuation of this Summer’s New Blogger’s Blog Hop. There are going to be tutorials for more than 60 different brand new blocks over the next four days! Not only do you get the directions for all of these lovely designs, but there are also several chances to win a bundle of Fabri-Quilt Prairie Cloth Cotton Solids in the Watermelon Summer color palette we have used to make these blocks. For a chance to win, check out the daily host’s blog. Links to all of today’s blocks and all of the host’s websites can be found at the end of this post. I’m excited to see everyone’s creations, and I hope you are too! Fabri-Quilt generously supplied each blogger involved in this hop a fat eighth of each of the six colors in the Watermelon Summer palette. The blocks that have been made from the Fabri-Quilt solids are being turned into charity quilts by our generous hosts. There will be at least three quilts created and donated to children facing challenging circumstances. Download the PDF foundation paper piecing template to your desktop or folder of your choice. 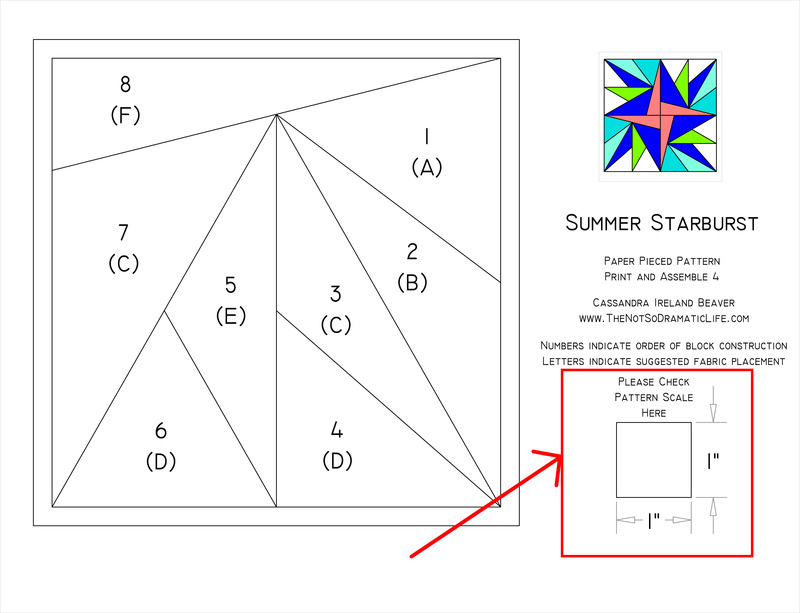 The Summer Starburst pattern along with PDF Instructions are also available on Craftsy. Print one PDF at 100% scale. There is a one inch square next to the pattern. 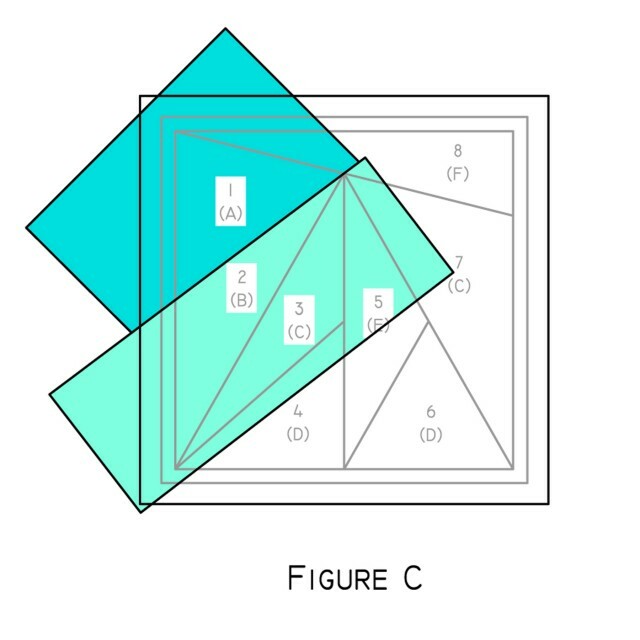 Please take a moment to measure all sides of this square to make sure that there are no scale or distortion issues that occurred in the printing process. After this check, print three more (4 total) foundation papers. Double check the 1” square on each print to ensure accuracy. 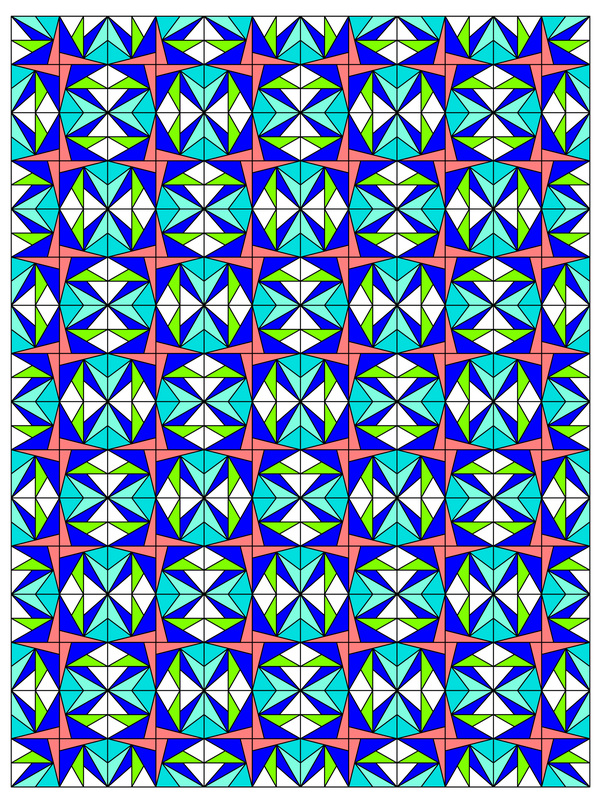 Note: You may print this pattern on standard printer paper or a specialty foundation paper of your choice. 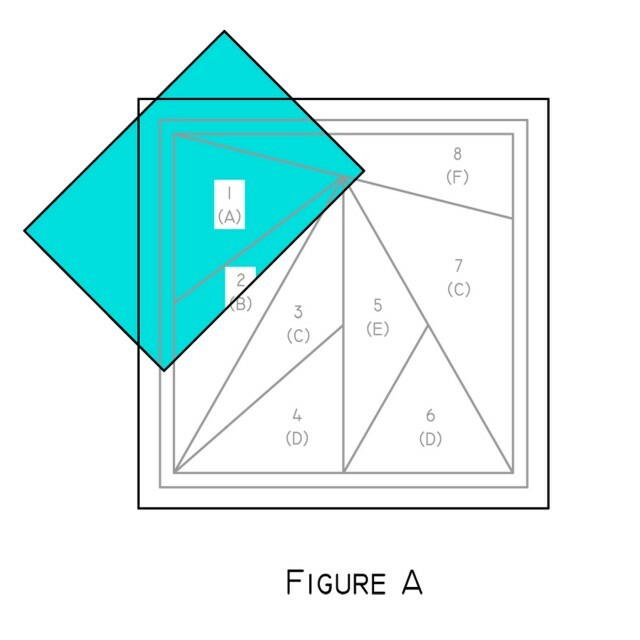 To prepare for foundation paper piecing, cut the following size rectangles from the indicated fabrics. 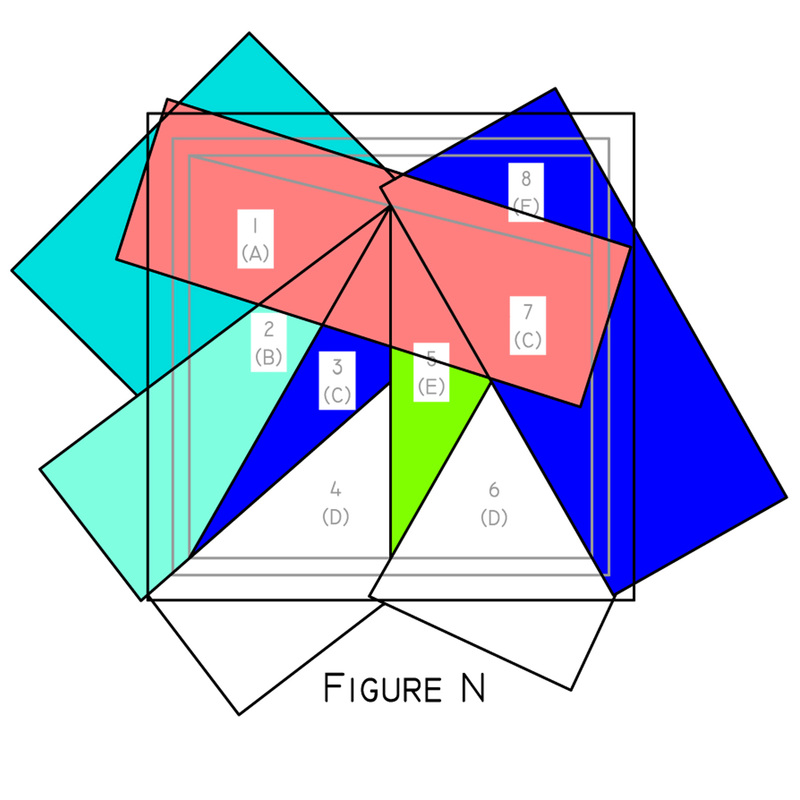 Italicized Colors in parenthesis indicate the color used for block construction in the following tutorial. Please Note: By nature, foundation paper piecing involves a certain amount of fabric waste. 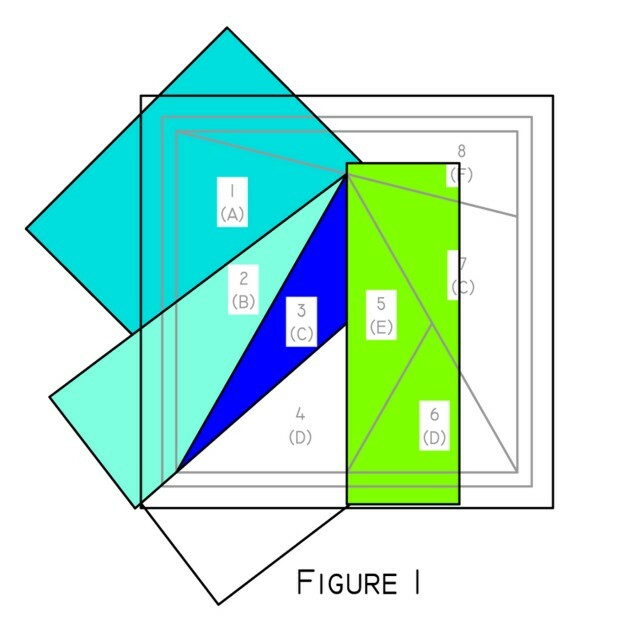 The rectangle sizes below allow for the easiest construction of this block. 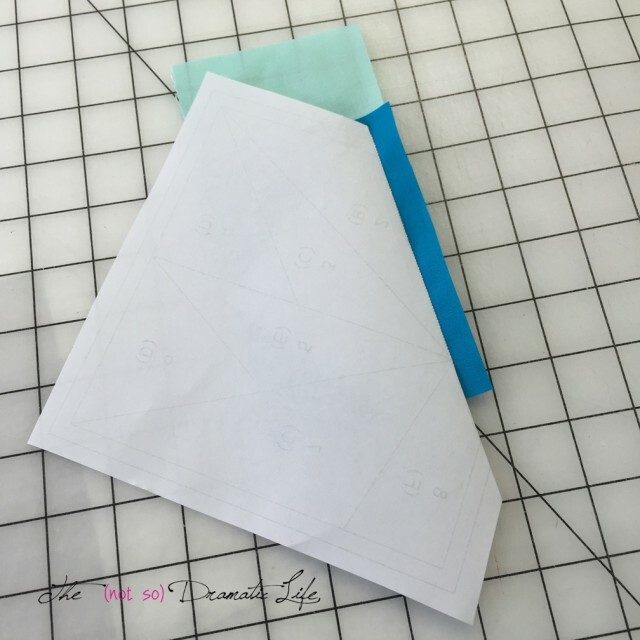 It may be possible to save some additional fabric by rough cutting triangle shapes rather than rectangles. I only suggest this option for experienced foundation paper piecers. 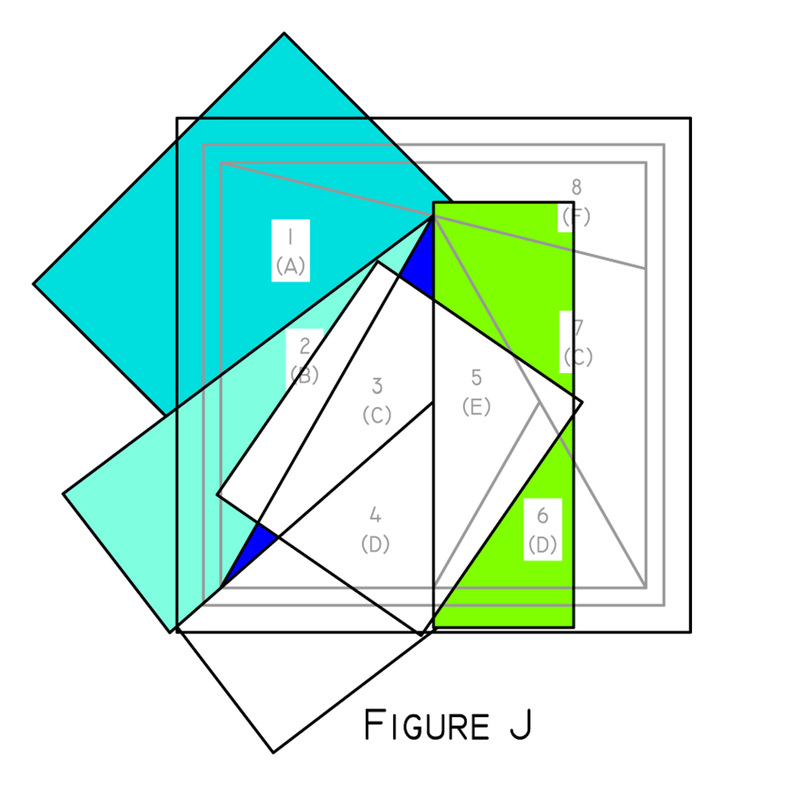 This block is foundation paper pieced in four sections which are joined in the final step of block construction. 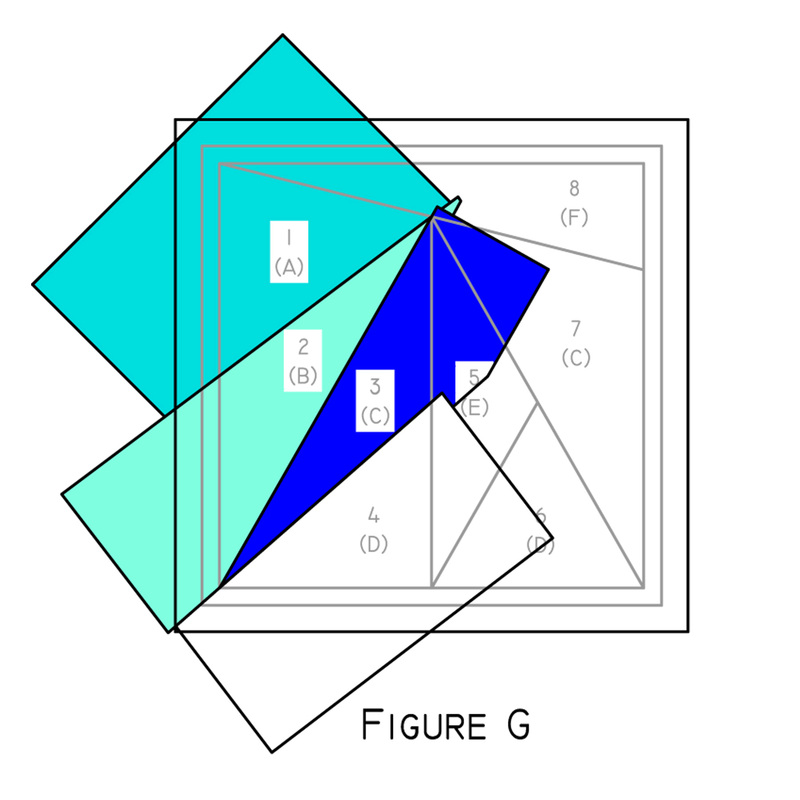 Step 1: Rough cut the foundation paper to be approximately 1/4’’ larger on all sides than the outermost printed lines. 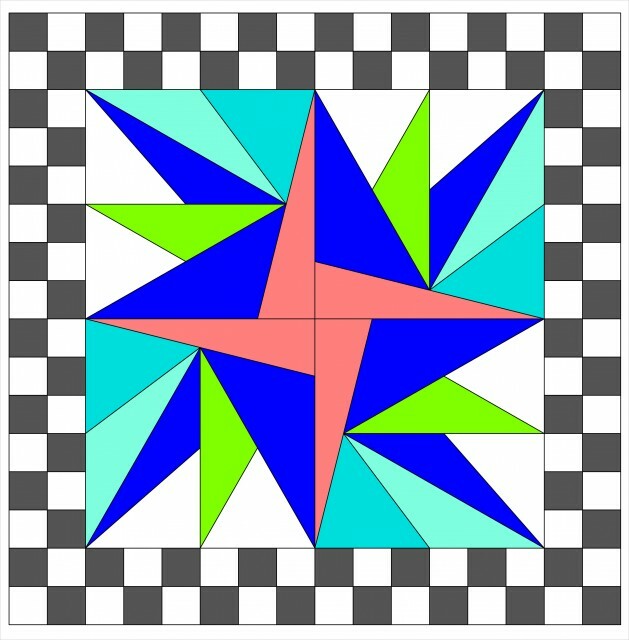 Note: The fabric construction of the paper pieced block occurs on the non-printed side of the pattern. Step 2: With the printed side of the pattern facing down, place a piece of fabric A right side up directly over section 1. 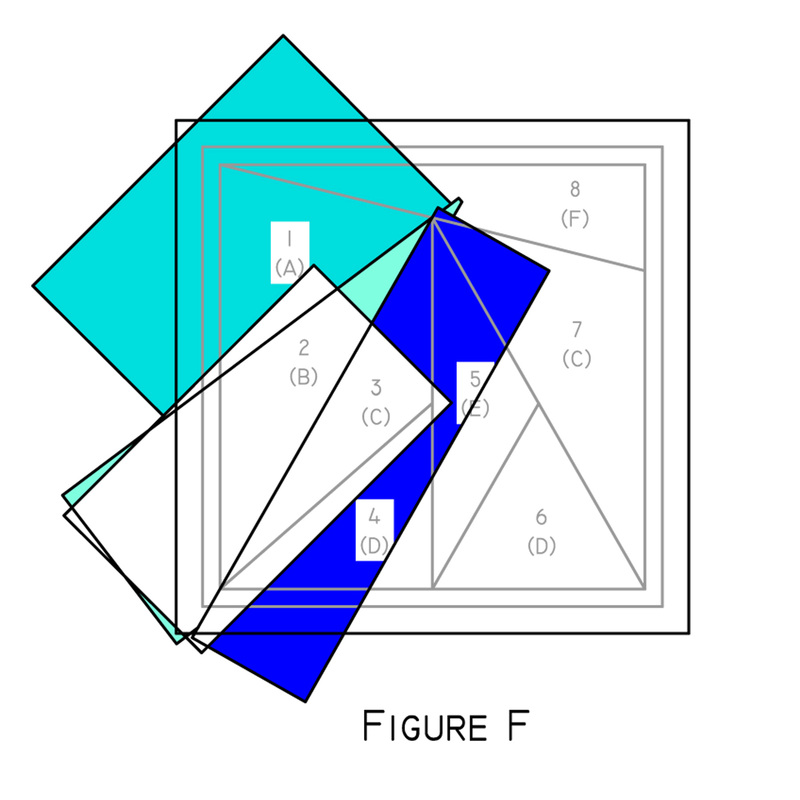 (See Figure A) If desired, you may pin this to the paper. 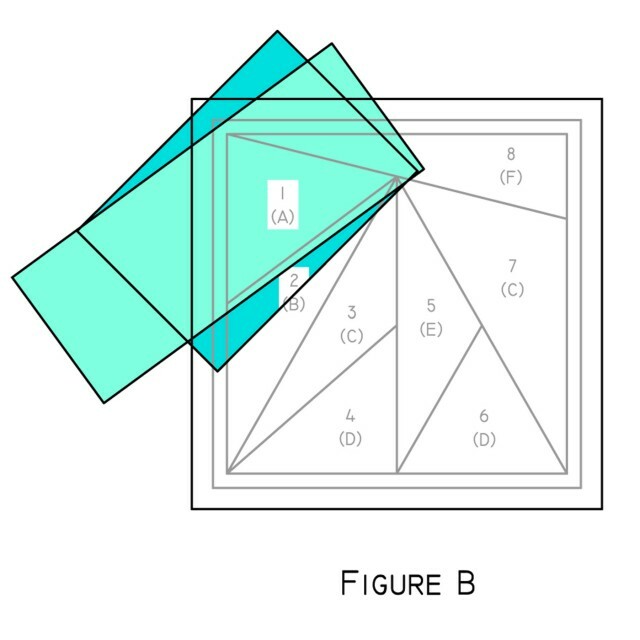 Hold the paper up to a light source to ensure all of section 1 is covered by the fabric and there is at least 1/4” of extra fabric extending over the section 1 boundary lines into all adjoining areas. Please Note: Fabric is placed on the non-printed side of your paper piecing template. For clarity, the diagrams in this pattern include grey lines that indicate what you would see if the template was held up to a light source. 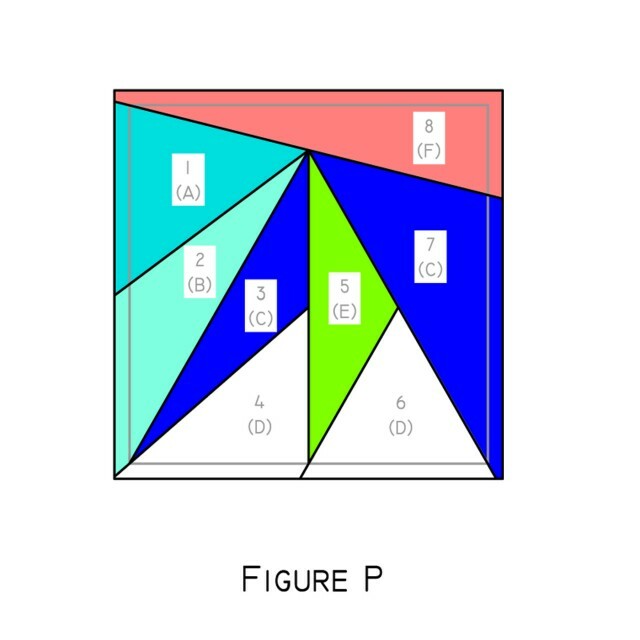 Note: When foundation paper piecing, section 1 is the only section that the fabric is placed right side up. Step 3: Position the fabric for section 2 wrong side up over the section 1 fabric with a small amount crossing the line between the two sections and the main body of the fabric over section 1. (See Figure B) Pin both fabrics along the stitching line between sections 1 & 2. Flip the section 2 fabric along the pin line. 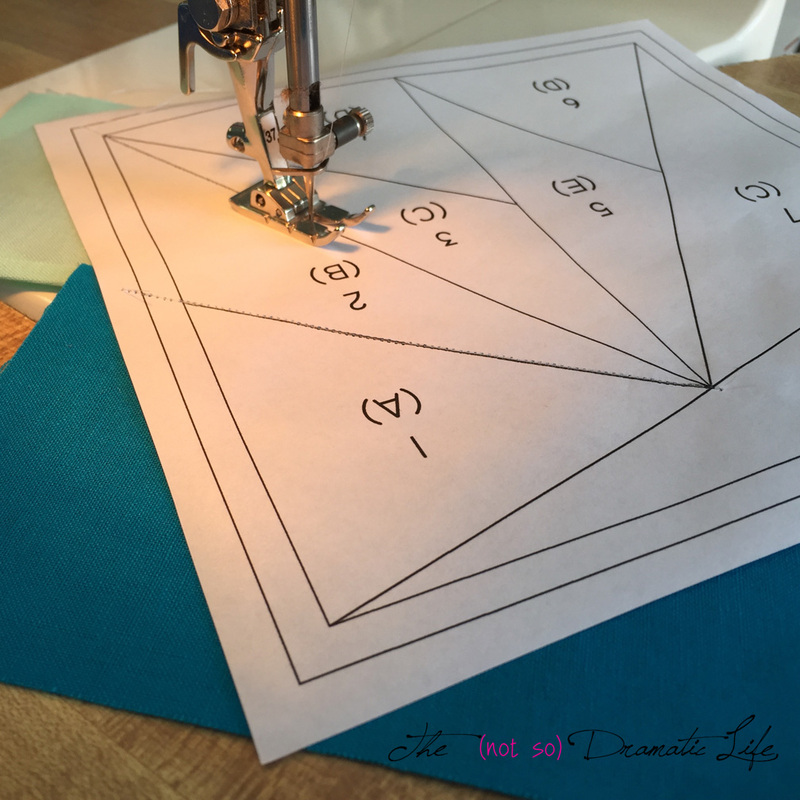 Hold the block up to a light source to see if the fabric will cover all of section two. Adjust the fabric placement as needed. Step 4: When you are happy with the fabric placement, turn the block so the paper is on top. 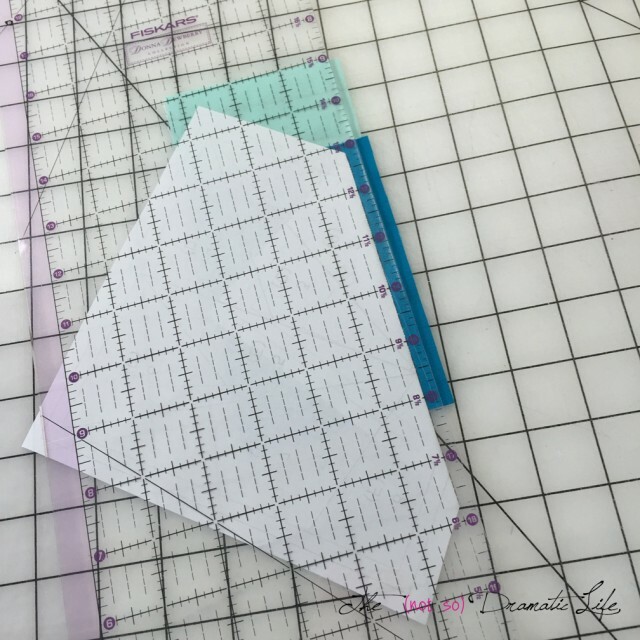 With the printed side of the paper facing up, carefully machine straight stitch along the line between sections one and two. 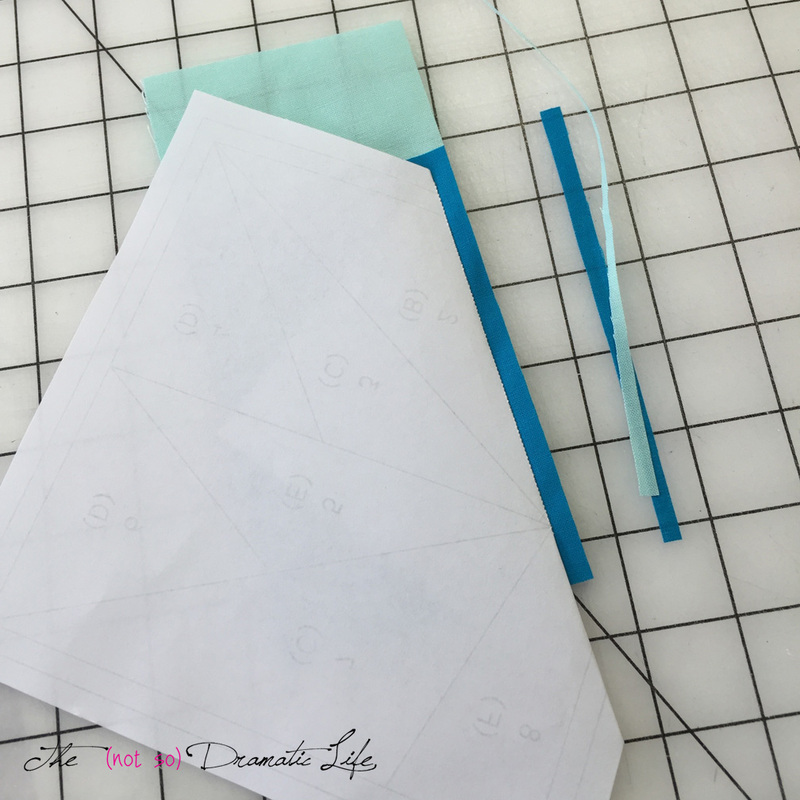 I suggest using a small stitch and backstitching at the beginning and end of the stitching line. You may extend the stitching beyond the line on either end, but it is not required. So, I forgot to take a photo of the stitching the line for segments 1 & 2. 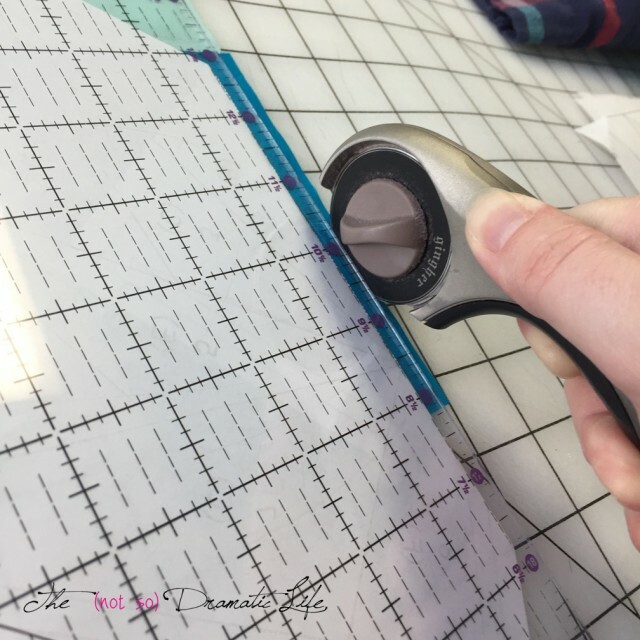 This is the photo adding segment 3, but you can still see how the paper is printed side up, fabric down, and you are stitching directly on the line. Step 5: Flip the section two fabric toward its finished position to double check that all of section two is covered. Turn the section two fabric back over section one and fold the paper foundation back along the stitching line. Trim the excess fabric away from the stitching line leaving about a quarter inch to act as seam allowance. 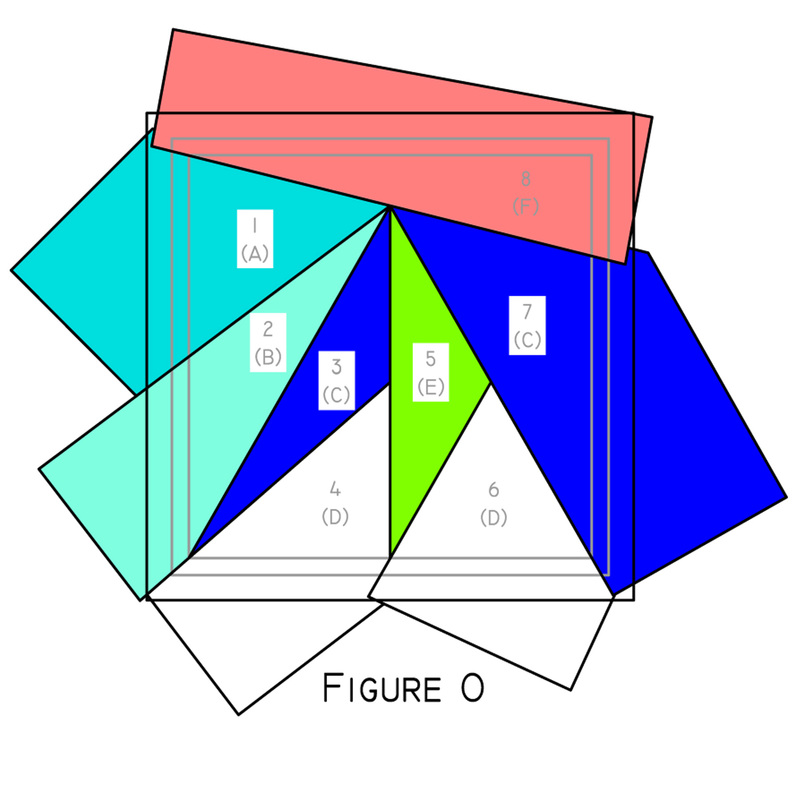 Note: Now you will work around the foundation template in numerical order following steps 2-6 for each section. Section 3: Position the section three fabric wrong side up with the main body of the fabric over section two. 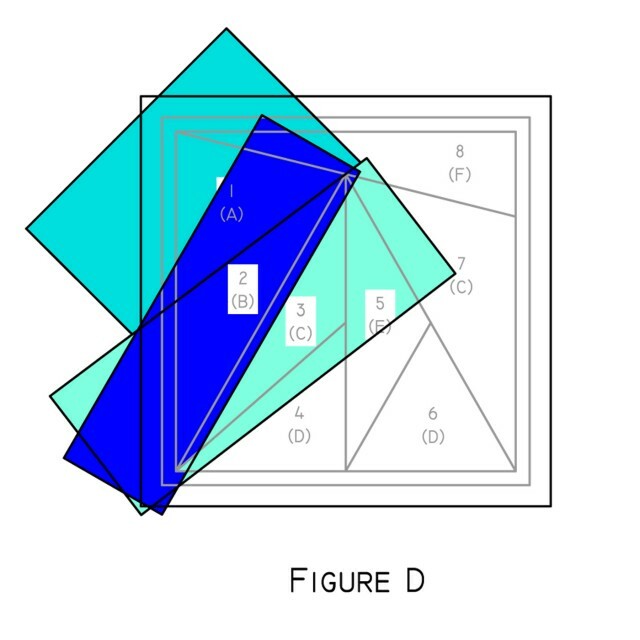 (See Figure D) Use a light source to check the fabric positioning. Section 4: Position the section four fabric wrong side up with the main body of the fabric over section three. 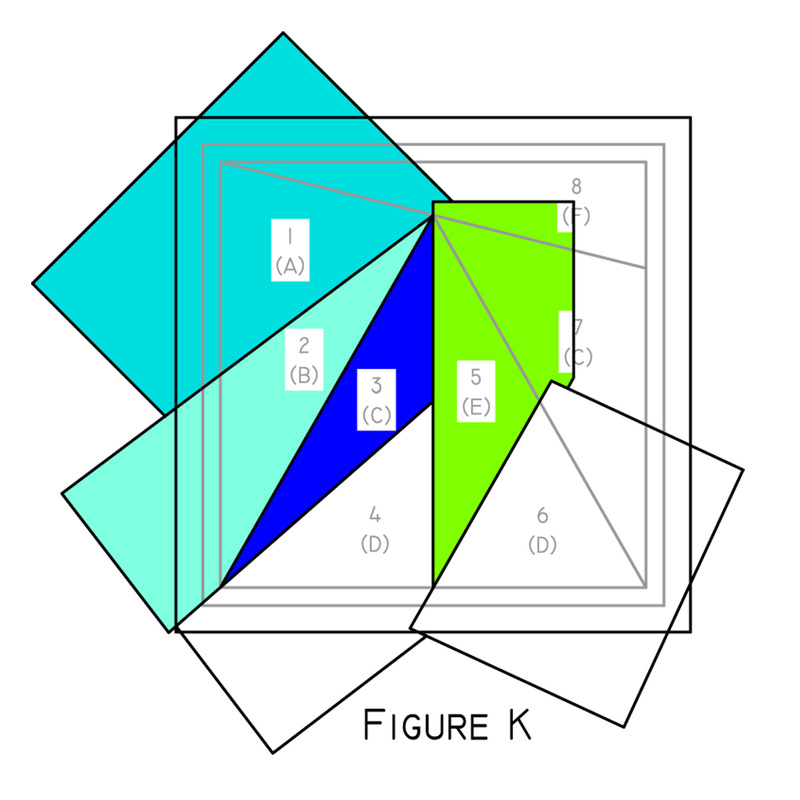 (See Figure F) Use a light source to check the fabric positioning. Section 5: Position the section five fabric wrong side up with the main body of the fabric over sections three and four. 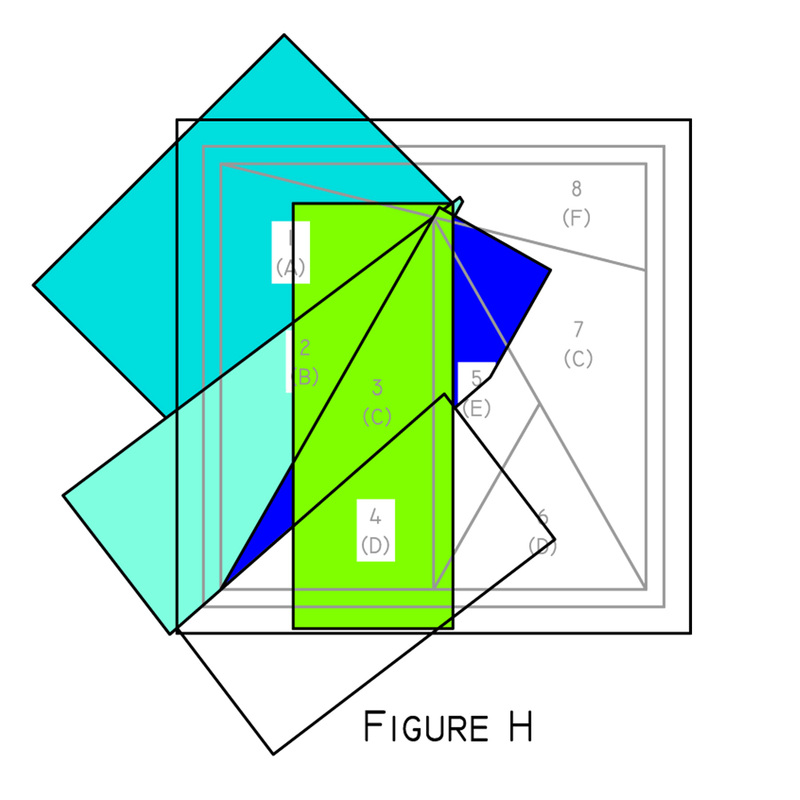 (See Figure H) Use a light source to check the fabric positioning. Section 6: Position the section six fabric wrong side up with the main body of the fabric over section five. 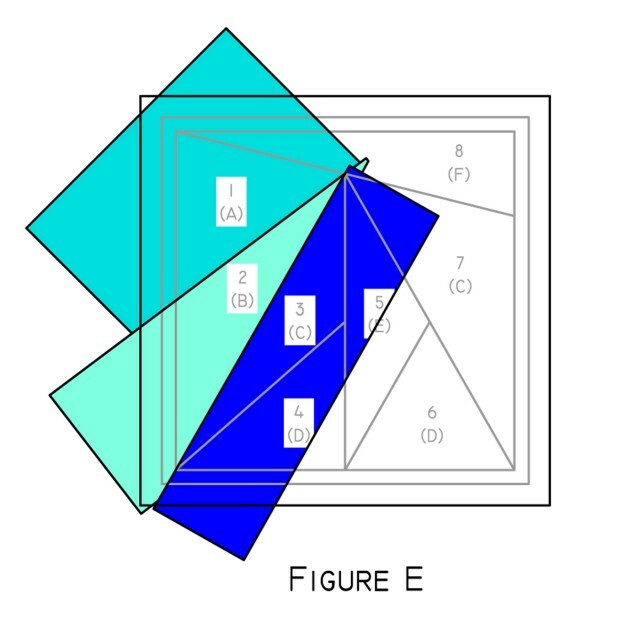 (See Figure J) Use a light source to check the fabric positioning. Section 7: Position the section seven fabric wrong side up with the main body of the fabric over sections five and six. 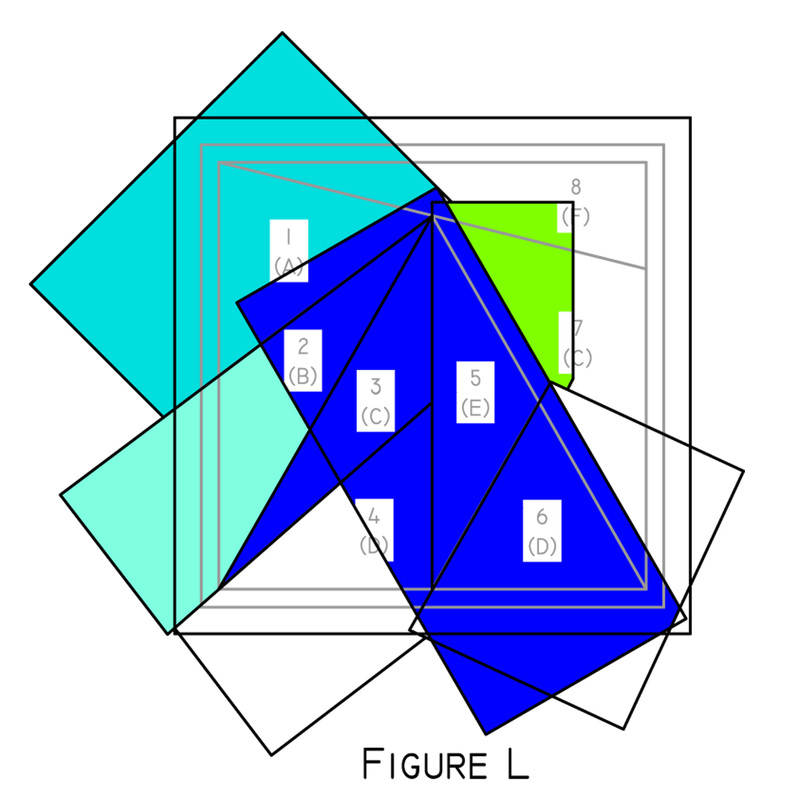 (See Figure L) Use a light source to check the fabric positioning. Section 8: Position the section eight fabric wrong side up with the main body of the fabric over sections 1-7. 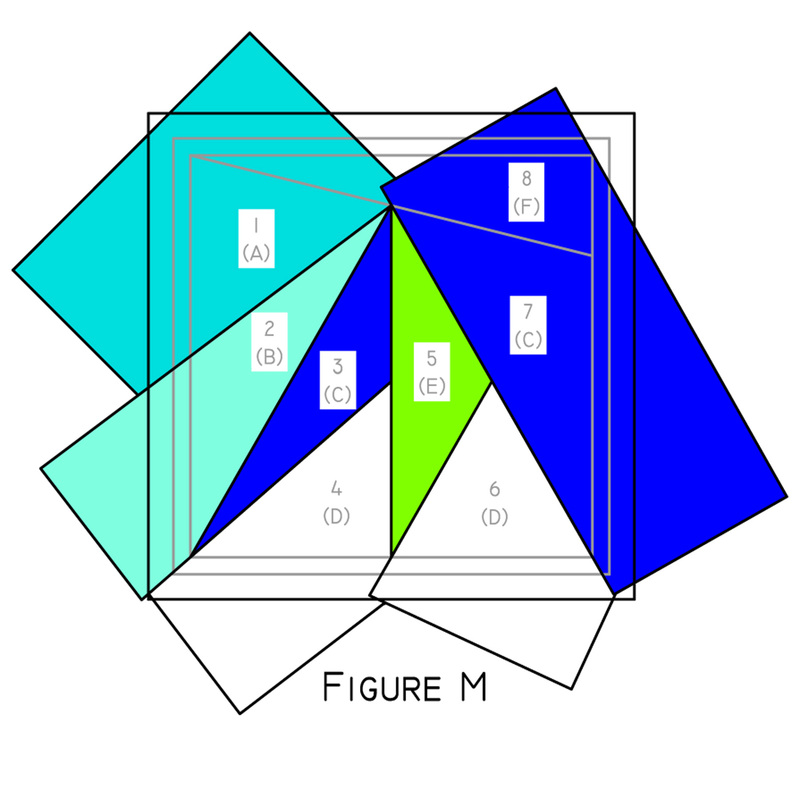 (See Figure N) Use a light source to check the fabric positioning. Step 8: This is where you lather, rinse, and repeat steps 1-7 three more times to make a total of four block segments. Step 10: Use Wonder Clips or pins to hold two segments together while you sew along the stitching line. (See Figure R) Press the seam allowances open. 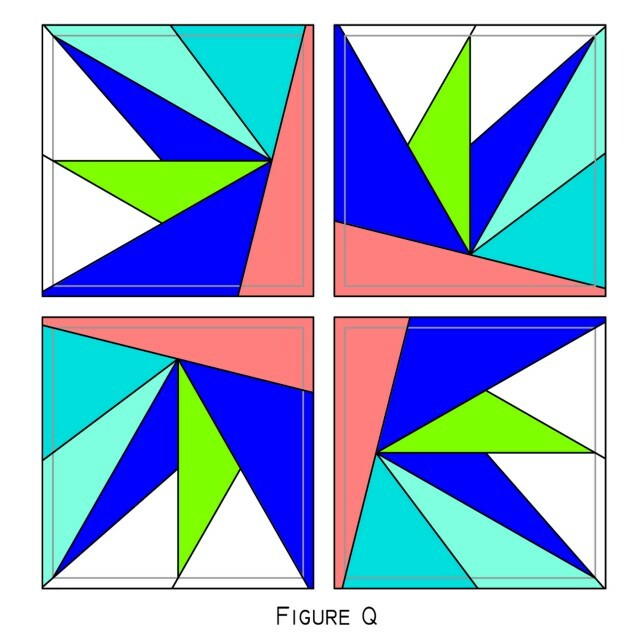 Step 12: If you are creating a quilt consisting entirely of this or other foundation paper pieced blocks you may leave the papers in place until construction is complete. 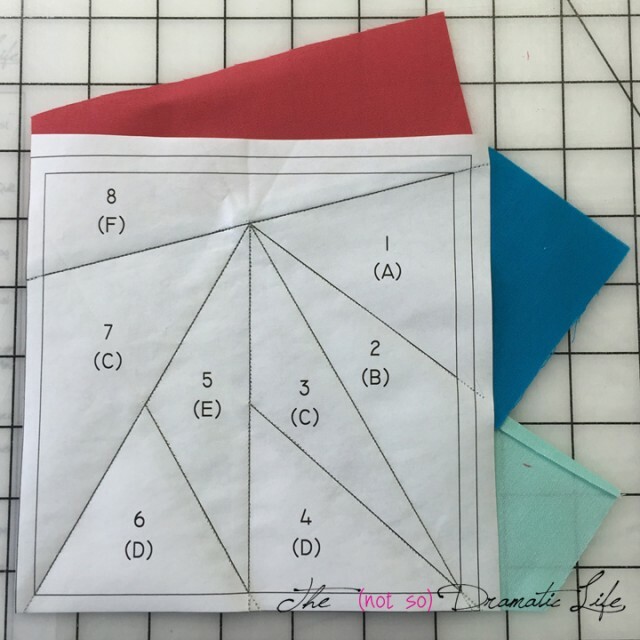 If you are combining this block with traditionally pieced or appliquéd block or if this block will be used on its own, carefully tear out the foundation papers now. Hmm . . . 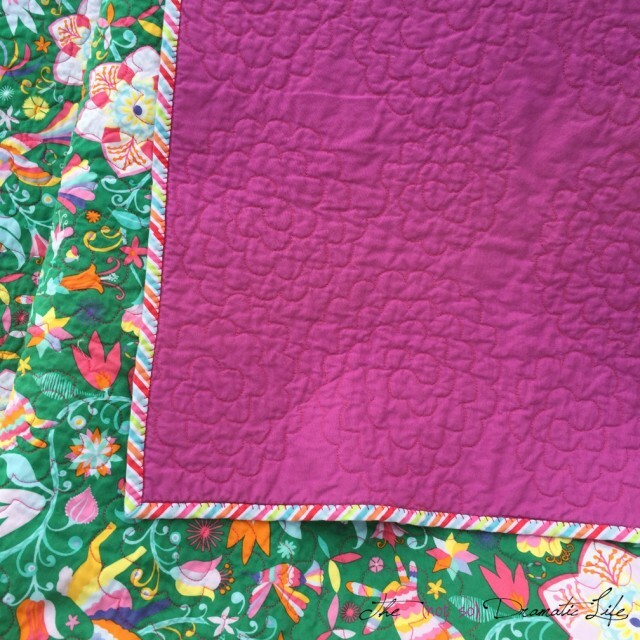 This mini quilt may be in my Mini Quilt Mania future! Below are links to the rest of today’s original blocks. I hope you take a moment to discover some lovely new designs! 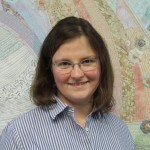 Today’s wonderful host is Yvonne of Quilting Jetgirl. Remember- she’s hosting a fabric giveaway today!